Chelseadaft - A Chelsea Fans Blog process personal information only in strict compliance with the Data Protection Act 1998 (as amended), the Privacy and Electronic Communications (EC Directive) Regulations 2003 and other associated data protection legislation. Any personal information provided or gathered via this web site is controlled primarily by Chelseadaft - A Chelsea Fans Blog. WHAT INFORMATION DO CHELSEADAFT - A CHELSEA FANS BLOG COLLECT? If you register your personal details with this web site, it is only known to Chelseadaft - A Chelsea Fans Blog and trusted third party suppliers of related services. If you choose to register, Chelseadaft - A Chelsea Fans Blog will request information such as your name, email address, address, telephone number or other contact details as required. This information will then be held by Chelseadaft - A Chelsea Fans Blog as it is necessary for Chelseadaft - A Chelsea Fans Blog to carry out the services for which you registered. 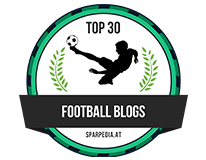 Chelseadaft - A Chelsea Fans Blog also use this information to improve the function of the web site and to prevent any abuse to the web site. This information will not be kept indefinitely, only for the statutory period allowed under the Data Protection Act 1998 (as amended). Chelseadaft - A Chelsea Fans Blog will also keep any correspondence you send Chelseadaft - A Chelsea Fans Blog whether by email or standard mail. This correspondence will not be kept indefinitely, only for the statutory period allowed under the Data Protection Act 1998 (as amended). HOW DO CHELSEADAFT - A CHELSEA FANS BLOG USE THE INFORMATION COLLECTED? All the information that Chelseadaft - A Chelsea Fans Blog collect via the web site or correspondence is used to help Chelseadaft - A Chelsea Fans Blog understand more about who uses the web site and to help improve the web site and the services that it offers. It will also help Chelseadaft - A Chelsea Fans Blog to send communications to you that may be of interest. To affiliated businesses or subsidiary or parent companies of Chelseadaft - A Chelsea Fans Blog. If Chelseadaft - A Chelsea Fans Blog wishes to or is required to pass on your information to a third party it will not do so other than with your express permission. Chelseadaft - A Chelsea Fans Blog may use the personal information that you have provided to contact you by any of the methods which you input. 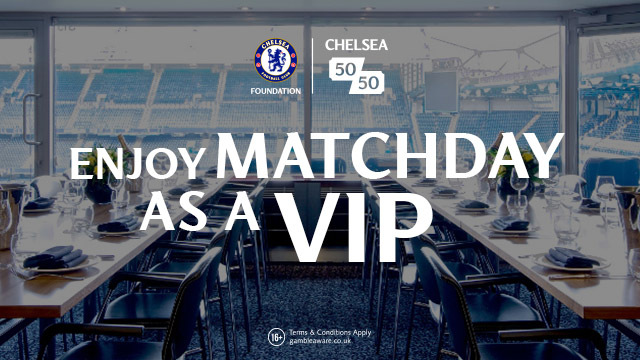 Communications from Chelseadaft - A Chelsea Fans Blog will be limited to administrative messages unless you have “opted in” to receive additional information about new services, features or products which are being offered by Chelseadaft - A Chelsea Fans Blog. If you do not want to be contacted in this way then please click where indicated when you are completing any of the online forms where you initially input your personal details, by changing your personal details on the [“personal details”] page when you are logged on to the web site, or by contacting Chelseadaft - A Chelsea Fans Blog via the contact page at any time after submitting your personal details. As the Internet is a global network, there may be instances when your personal data travels across international borders. This may include transfers outside the EU and the EEA. If you do voluntarily input any personal information via this web site or send correspondence, then in doing so you are authorising Chelseadaft - A Chelsea Fans Blogto transfer your personal data in this way. You can set your web browser to reject cookies, though please be aware that the Chelseadaft - A Chelsea Fans Blog web site may not function correctly if you do this. The IP address of the computer you use to access this web site is automatically provided by your browser each time you view the web site. If you provide any personal information via this web site then the IP address of the computer you are using at the time you provide this information will be stored by Chelseadaft - A Chelsea Fans Blog. IP addresses may be used by Chelseadaft - A Chelsea Fans Blog for various reasons, including but not limited to differentiating between users from different geographical locations or to help with technical problems that may relate to certain groups of IP addresses. The security of your personal information is very important to Chelseadaft - A Chelsea Fans Blog and it takes all steps it deems reasonably necessary to ensure such security. However, the transmission of data over Internet cannot be guaranteed to be completely secure and failsafe. As such, Chelseadaft - A Chelsea Fans Blog is not able to warrant or guarantee the complete security of any personal information that you provide and it is important that you are aware that providing any such information is done so entirely at your own risk.